Get more Power from your PC, What is Overclocking? 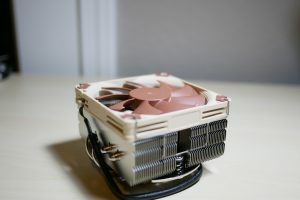 While you may have kept away from pc overclocking in fear of burning out your computer, the reality is if you take it slow and follow the many guides on the internet then there is no reason why you can’t see a huge improvement in performance for nothing more than a little time and investment. Over the years the average heat output of your typical consumer PC processor has drastically reduced, this is largely down to advancements in technology and the reduction in die size. Reduced die size effectively reduces the amount of power a CPU requires to run thus reducing heat output of a the cpu under full load. The average life span of a stock CPU is around 10 years. How many of you still have computers older than 10 years? Aside from voltages, Heat is the fate decider when you’re overclocking. if you hit your Tj max then your processor will throttle itself, reducing the performance so it can cool down. Stock coolers are rarely good enough to overclock your processor more than a few hundred Mhz so look at investing in a good aftermarket HSF or even water cooling loop which would allow you to really push your cpu to its limits. The question you need to ask is, where can you buy a computer off the shelf that’s running at 5ghz? Can I overclock if I have a stock cooler? While you wont be reaching the magic 5ghz on stock CPU cooling there is no reason why you cannot squeeze some extra mhz out of your CPU don’t forget to factor in your ram as well as both the CPU and RAM are explicitly linked. Wait, the CPU and RAM are linked, how? While your CPU cooling may allow for you to overclock your CPU it all comes down to bottle necks. Unless you have a AMD FX or Intel Extreme edition cpu, you will not have the luxury of just changing your CPU multiplier, which means you will have to increase your bus frequency. If you increase the CPU bus frequency it will also increase the frequency the RAM runs at as well, if your ram is only rated to run at 2000mhz at 1.5v and you increase your bus by 100mhz it will push your ram over its ratings. Some ram is better than others so do your research. Tighter RAM timings are better, this allows you to push the rams limits by loosening up your timings. 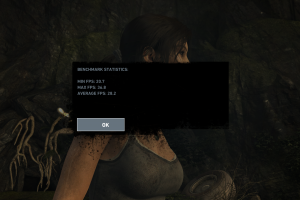 What other things can affect overclocking? Being frank, all components can produce small issues when overclocking, but normally only at extreme levels. 80% of you reading this could easily go into your bios after following a short overclocking guide, be able to change 1 setting and see an immediate increase in performance. While overclocking is not without its risks, it’s a relatively safe practice. With advancements in technology and the reduction in power consumed by the CPU as long as you stay within the constraints of your guide, manufacturers maximum safe voltages and heat output, increasing your multiplier once step at a time – you will not be blowing up your computer any time soon.